Last week in my post, How Important is Knowledge?, I noted that many in our society—and the Western Church—esteem knowledge above all else, while Paul says that love is more important. In another place Paul elevates love over several other things as well, such as supernaturally using other languages, giving prophetic words, having spiritual discernment, exercising deep faith, possessing a giving heart, and enduring physical hardship. Although these things have value, they aren’t as important as simply loving one another. In fact, without love, these other things don’t even matter, not really. I’ve often seen well-intended followers of Jesus seek an impartation of supernatural gifts, especially speaking in tongues, but I’ve never seen anyone ask for more love. Yet if we really believe what Paul says, love should be the first thing we ask for. 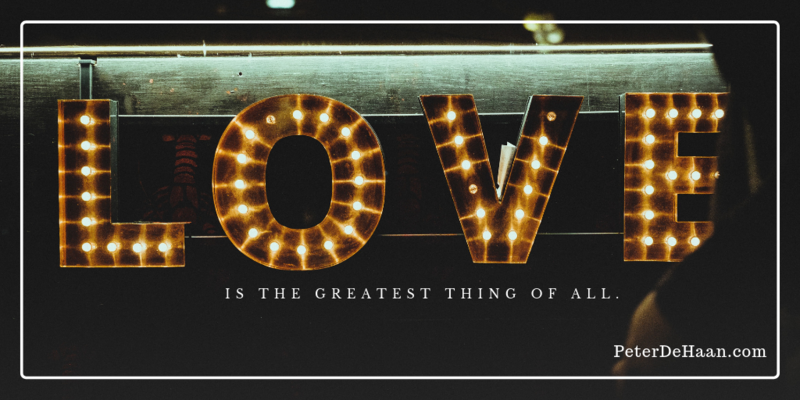 After all, Paul does say that love is the greatest thing of all.